Would you climb an 8000-meter mountain? Descend in a submersible seven miles under the sea? Pilot a shuttle back to earth at 17,000mph? Most of us choose other paths. The astronaut who arcs around the earth every ninety minutes seems to trace out a life faster and wilder than ours down below, where we make the slow orbit from home to work and home again. It’s understandable, then, why we place explorers and adventurers in a category by themselves, honor them with statues, magazine covers, and tickertape parades. Those who take such risks, these travelers of the extreme, seem to shine with a different light. They do otherworldly things and appear, at times, born of other worlds themselves, brought up within the same towns perhaps, attending the same schools, but made alien through the crucible of perilous experience. Or, perhaps, they were alien to begin with, living among us, sharing our food and oxygen, but pushed by different winds, compelled like Icarus to fly towards the sun. We laugh at Tom Wolfe when he tells us that astronauts are made of the right stuff, but we believe him. Whether by nature or by experience, explorers seem set apart. They are different. If this is so, what makes them different? Is it their endurance of risk? Among modern day explorers and adventurers, astronauts experience the most risk. As they enter their spacecraft, they know that they have a one to two percent chance of not coming back. This is a much higher risk than piloting a commercial plane, hand gliding, or bungee jumping. Still, it is not beyond other earthly perils. Most astronauts only make one or two flights into space. Seen as a cumulative risk over the course of their careers, astronauts endure about the same odds of death as loggers and fishermen. Yet the dangers of exploding space craft, sinking ships, and falling trees are dwarfed by the perils of getting old, perhaps the riskiest human activity of all. Being 80 years old for six months carries with it twice the risk of death of suiting up for a flight on the space shuttle. If we value risk as a measure of mettle, then, we should be looking to verandas and nursing homes rather than the void of space. This comparison falls short because it ignores the question of motive. Risk attends many things. We need to work. We cannot help getting old. But explorers and adventurers choose risk over safer pursuits, accept danger in their quest for something else. If risk, by itself, signifies little, risk freely accepted represents a conscious commitment. Yet commitment to what? Historically, explorers have offered many motives. The Arctic explorers of the International Polar Year (1882-1883) spoke of their desire to advance science. Henry Morton Stanley, David Livingstone, and Richard Burton all pursued geographical discovery, suffering malarial fevers in their quest to find the source of the Nile. The Mercury Seven, who strapped themselves to the top of Atlas rockets, spoke of their commitment to patriotism, competing with the Soviet cosmonauts for the dominance of space. Yet these are not the only motives that draw people to the extreme. For many, the goal of the journey is risk itself. Danger is not the cost of admission, but the feature attraction. Free-solo climbing, BASE jumping, and wingsuit flying are activities that do little to advance science, geography, or national pride. Yet for disciples of these sports, these activities offer the promise of exploring inner worlds: survey expeditions to map the contours of fear, endurance, and self-control. Risk is the object of these missions, the means of expanding consciousness, the catalyst of self-knowledge. If explorers and adventurers are unique, then, it is difficult to pinpoint exactly what makes them unique. They are a diverse group, drawn to extreme experience for different reasons. 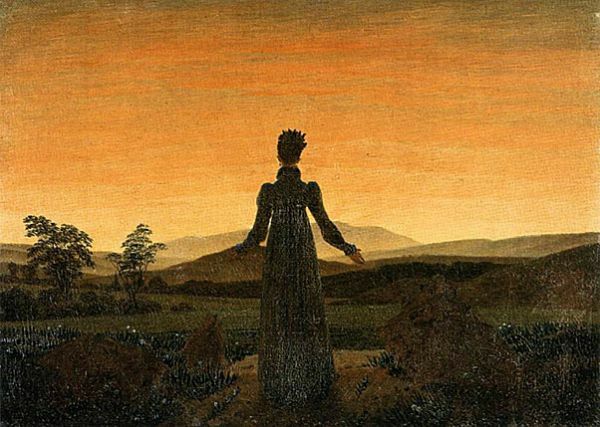 Woman Before the Rising Sun, Caspar David Friedrich, 1820. It has always been this way. The oldest stories in human history — Exodus, Gilgamesh, and The Odyssey — are travel epics, stories of knowledge gained through hardship. Yet the nature of this knowledge has always been mixed, the lessons of the voyage open to multiple interpretations. If the extreme is an oracle that offers wisdom, it is one that speaks in riddles. Does the journey give us knowledge about the world, as the work of Pliny, John Mandeville, and Marco Polo suggest? Or does it function, as Plato, Siddhārtha Gautama, and St Francis seemed to think, as a way of gaining knowledge about oneself? In practice, these two motives for travel – worldly knowledge and self-knowledge – were never mutually exclusive. Three thousand years of travel literature have combined elements of both. Our ideas about the extreme were forged in this historical moment. Since the 19th century, we have expected our explorers to be researchers, to bring back specimens and samples. Yet in truth, we pay little attention to their scientific work. (For example, can you name one scientific discovery made by astronauts on the moon?). Instead, we marvel at the experience of their journeys, their perilous escapes. 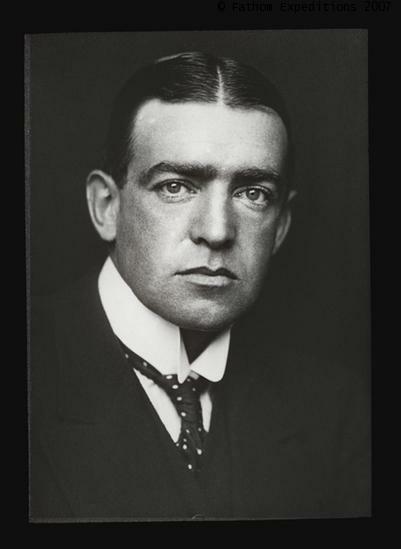 We read books about Shackleton, the explosion on Apollo 13, and Armstrong’s first steps on the moon. We remain conflicted about the meaning of the extreme. We expect our astronauts to be astrophysicists, but we want to them to speak to us like Major Tom. Through their eyes, we see other worlds too. Our attempts to define the limits of the extreme will always be fraught; not merely because the diversity of motives which draw people towards it, but because of our own mixed feelings about what it means. We read books about polar explorers, attend IMAX films about disasters on Mt. Everest. We watch YouTube videos about skydivers, cave divers, and BASE jumpers. We do this, not because we seek to place these people in a special category, but because we feel drawn to this category ourselves. We imagine ourselves on the razor’s edge, on the lip of the abyss, at the boundary of life and death, and marvel at it. Sitting in beach chairs near the life guard tower, we recognize the absurdity of our condition, reading Into Thin Air as we apply SPF 50 sunscreen, projecting ourselves on the slopes of Everest as we eat gluten-free snacks. We do so in spite of the incongruity between the lives we live and the lives we imagine. We suffer these ironies because the explorer still speaks to us. We read, we watch, and in doing this, we feel more alive. “Beyond the Extreme” was originally published in the online arts journal Drunken Boat, volume 16, available here. Este tipo de publicaciones hacen que la gente “normal” abra su mente, y con el gran poder de imaginación, podemos tener esas experiencias, y con ello emocionarse, sufrir y festejar los éxitos de los aventureros que nos presentan, ya sean biólogos, arqueólogos, deportes extremos, historiadores, científicos, astronautas, y un gran sin número de personas que se arriesgan hacer algo diferente y lo hacen grandioso!! !